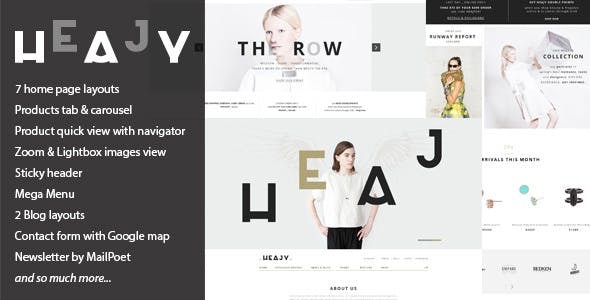 Heajy – Handmade Fashion WordPress Theme is our new theme for handmade shops, fashion shop, fashion accessories shop. With multiple predefined home page layouts, it brings to you so much selection for your home page. When you mixed all home page layouts, you have an unique layout for your shop. Unlimited home page layouts by this way.